The blog,” Treehugger”, recently released a list of the top 10 endangered rivers. San Joaquin River System (Sacramento, C.A. )- This watershed, the largest in California, supplies water to more than 26 million people. The problem with the system lies in outdated water and flood management. 2. 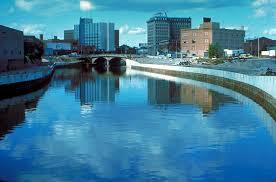 Flint River (G.A. )- A two- year drought has put the future of this river in jeopardy. There are plans to create a dam, even though more effective water supply solutions could save Atlanta as much as $700 million, according to Treehugger. 3.Lower Snake River (W.A. or I.D.) – The four dams on the river have caused a drastic decline in the number of salmon. Removing the dams will revive the salmon runs and a multi-million dollar fishery. 4. Mattawoman Creek (M.D. )- This river is threatened by a highway and poor development. The Maryland Department of the Environment and U.S. Army Corps of Engineers will have to deny a key wetland permit for the highway in order for the creek to be protected. 5. North Fork of the FlatHead River (MT)- The biggest threat to this part of the Flathead River is mining. The river is unprotected where it originates in British Columbia.